G.I. Joe: Retaliation is director Jon M. Chu’s sequel to director Stephen Sommers’ G.I. Joe: The Rise of Cobra. The sequel will be released in 2013. 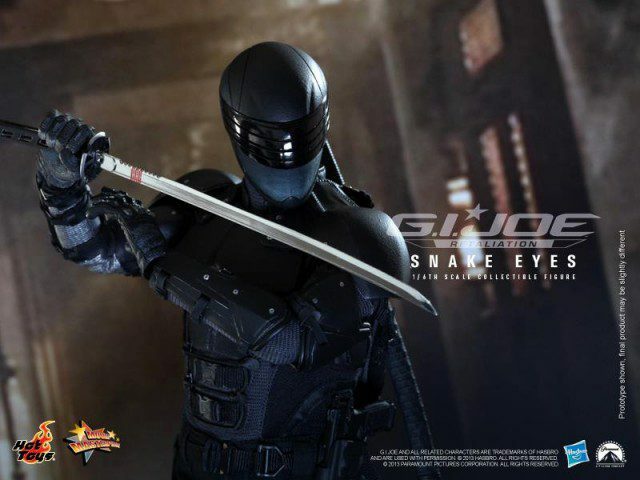 Also getting released in 2013 will be this awesome Hot Toys 1:6 Scale figure of Snake Eyes, based upon the character as he appears in the film. Seriously, how good does this sixth scale figure look? 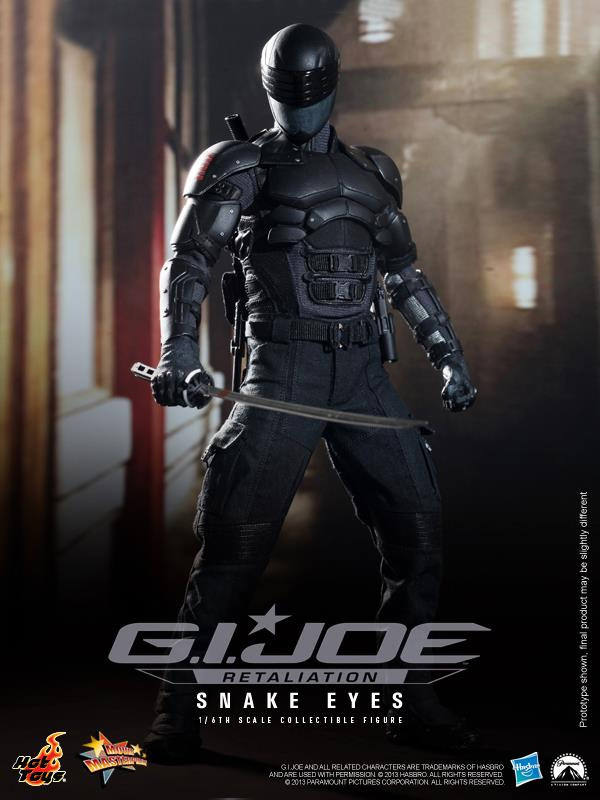 This is a movie-accurate collectible that is specially crafted based on the image of Snake Eyes in his black “military ninja” bodysuit in the movie, highlighting the character’s image, highly detailed costume and weapons. It’s also a limited edition release, though of how many I’m not yet sure.